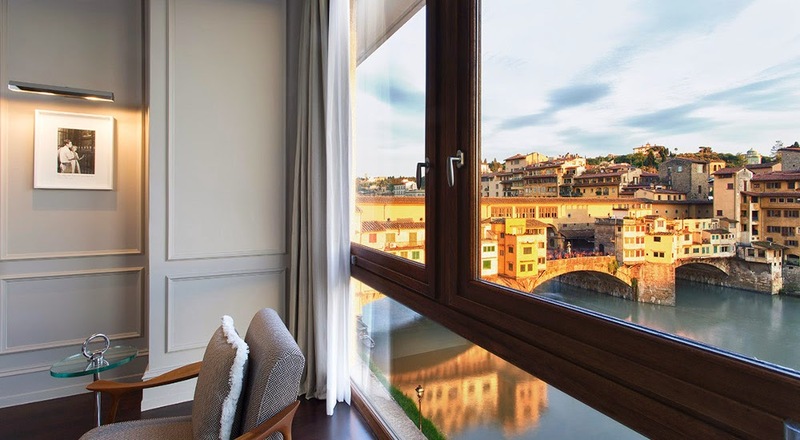 A new five star hotel with views of the Ponte Vecchio and the Arno river has opened in Florence. Portrait Firenze is the latest addition to the Lungarno Collection, part of the Ferregamo fashion family empire. It has 37 suites and rooms with Carrara marble bathrooms. Guests can can use high speed wi fi connections without charge and are provided with iPods.